Note that hwr.cmd is the filename (you can use any name you like). Don’t use this name inside the file. All you need to enter is .TRAN 1m 100m. This is a transient response. The first number is the step size (in seconds) and the second is the stop time. Check the manual for more info. Increase the step size if you like. This does seem distorted a bit. The model is available from Fairchild. 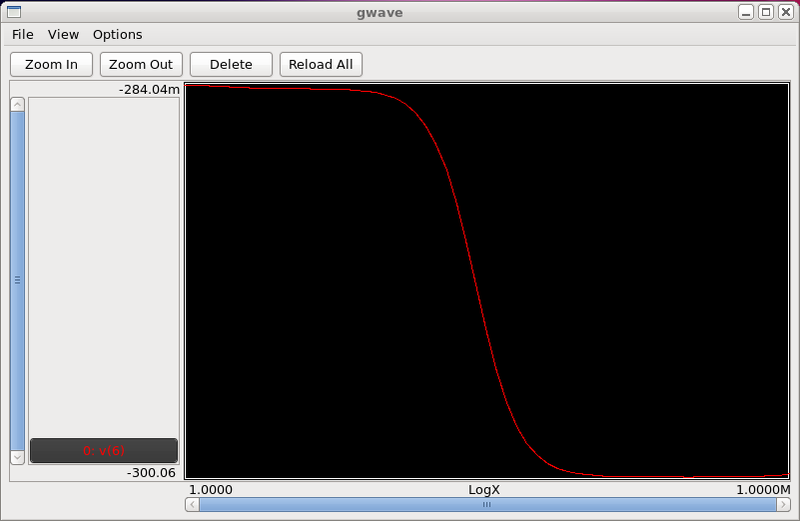 Also, our input voltage source is a little different. So far so good? 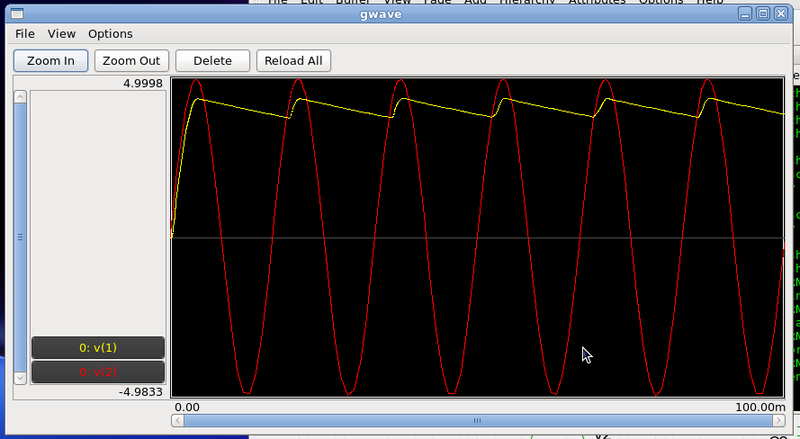 Lets now look at two oscillators. The third number is the start time. 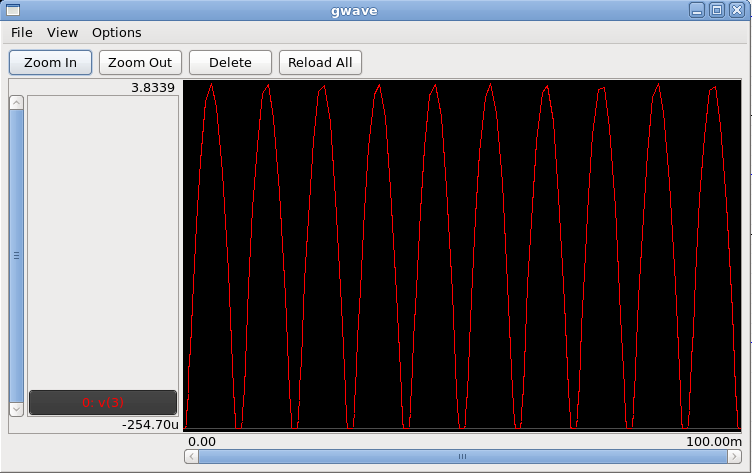 The oscillator needs time to stabilize so we don’t start at 0s. 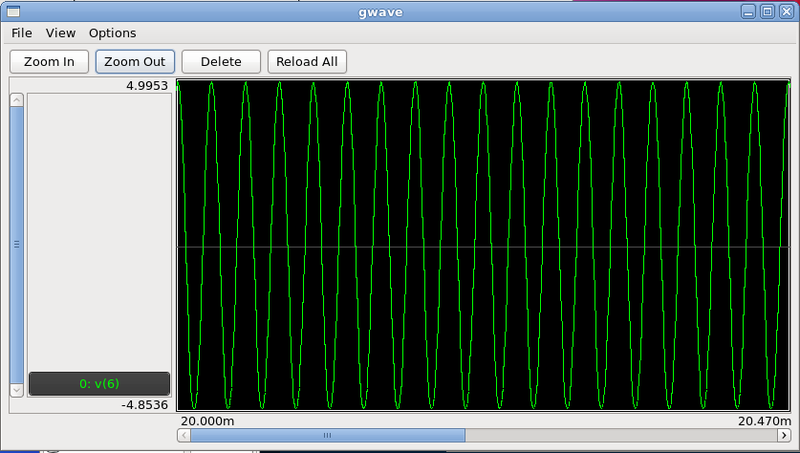 You know what to do, get the netlist then simulate and run gwave. Plot the output i.e. the voltage at the collector of the transistor. Hope you got this one right too. Two new things to learn here. Lets check out the schematic first. 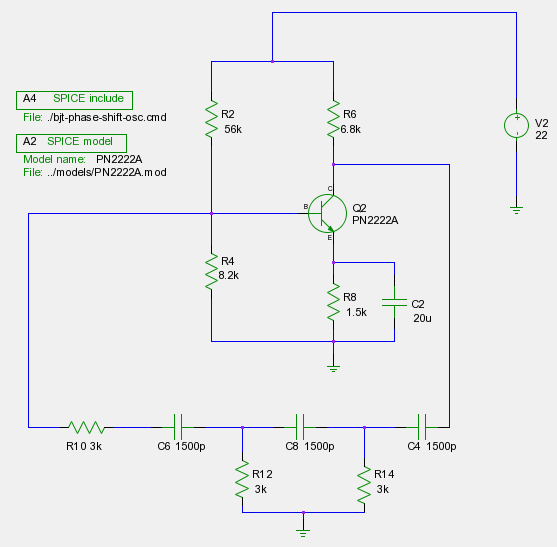 Draw the circuit first and give values to the components you are familiar (i.e. everything except the inductors). After all those circuits we’ve gone through, this should take you no time. Lets go over it quickly. 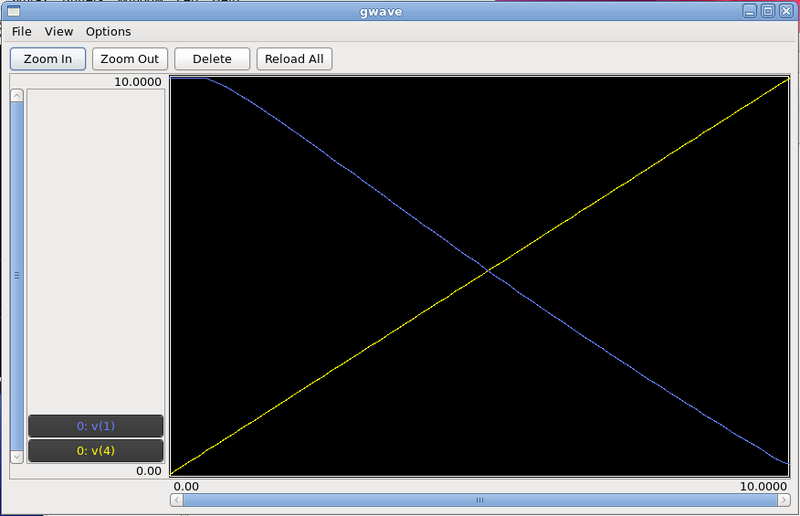 Get the netlist, simulate and plot the input and output voltages and we’re done with this tutorial! 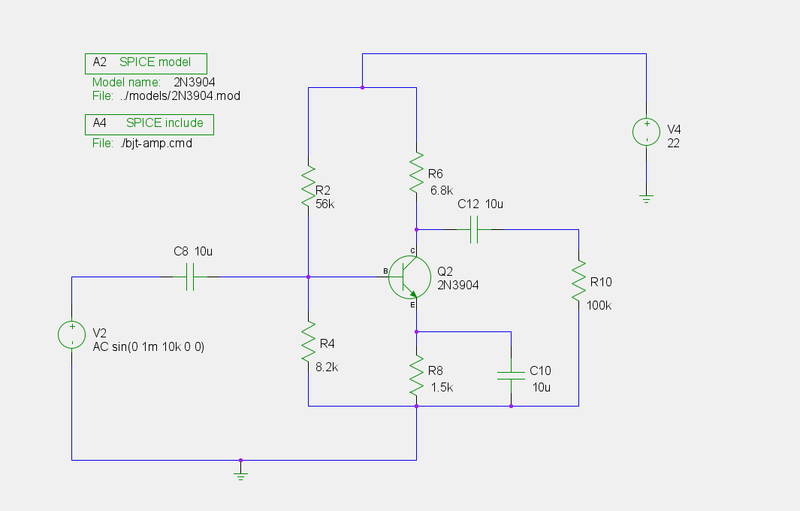 30 Responses to Simulating Circuits – More Examples! Today analog, tomorrow what ?? Well I’ll be glad to :). But if you’re planning to have this for sure keep it next year during your even sem so that the second years can understand too. I really appreciate the examples that you made for the readers. I really love linux, but simulating on it was a nightmare and i did not understand how to go forward. Your tutorials helps alot!!! Excellent examples, Ashwith. Thank you for your efforts! Wonder if we can download the examples just to be able to speed-up a bit the learning curve. I’m glad you liked them :). The examples are available for download. Check the box.net flash widget on the right sidebar. There is file called gEDA-examples-1.0.zip which contains all the schematics and other related files. I had mentioned this only in the last tutorial. I guess I’ll add a line to the first tutorial as well. Why dont you include some circuits of MOSFET like a common source,common drain,common gate amplifiers as technology is now running on MOSFET. Unfortunately I don’t have the time. Otherwise I would have a lot of new posts by now. I’ll be back to posting frequently only after Feb next year. Anyway, the purpose of these tutorials was to show how to use these tools. Not explain the circuits. 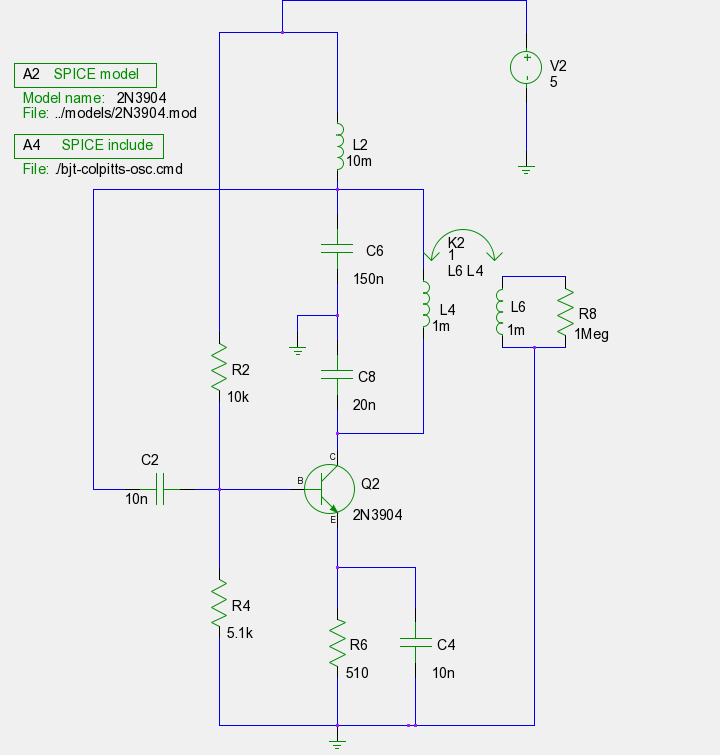 I think it should be quite easy to do a MOSFET circuit with the information given here. Hi Ashwith- I am learning a lot through your tutorials, thanks very much. 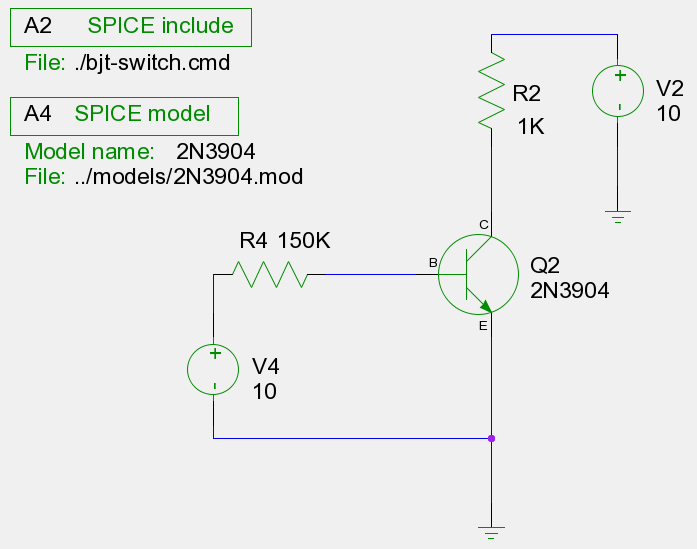 You may have a typo in example #3 BJT Amplifier AC Analysis – I believe the “model-name” in the A2 Spice model statement should be 2n3904, not PN2222A. This will confuse some people. That’s as far as I have gotten, so far. Thanks for pointing this out! I don’t know how I missed that 😐 I’ve fixed both errors now. 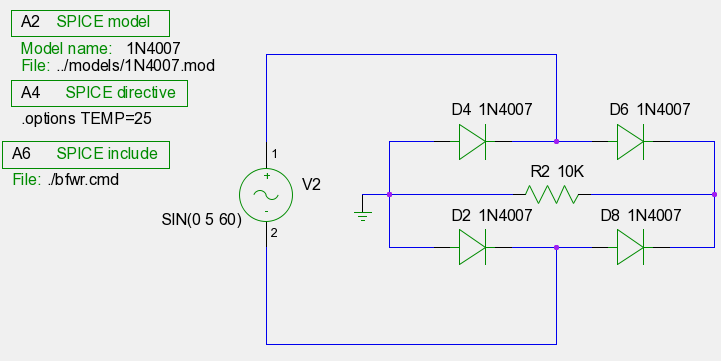 Can you help me with mosfet analog circuits, when I try to simulate then ‘ no model found , default BJT assumed’ is what I get, can you please help me out with the same…. Can you give me your schematic? Post them on a file hosting site (maybe Dropbox or Google Drive) and give me the link. Did not know about dropbox, Please find the link below. Thanks…. I am having my project which has mosfet as its basic component. 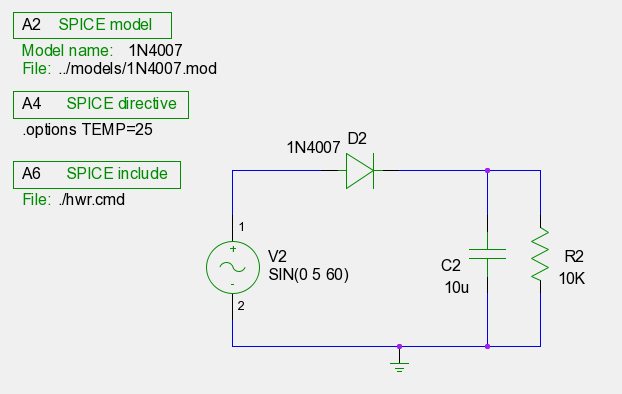 I took mosfet model from the site recommended by you on to someone’http://www.mosis.com/files/test_data/t14y_tsmc_025_level3.txt’. Somehow model is not being accepted and it assumes default model. Can you help me out with the same as its very important for me. Analog circuits of BJT having model 2N3904 are running properly. Can you please help me with this problem. This is what I get in terminal. ** Copyright 1985-1994, Regents of the University of California. This is my netlist for the above problem. 1. The .MODEL part should be followed by a name. You’ll need to edit your .mod file for that. I fixed it in the netlist. 2. The MOSFET has a minimum of 4 terminals (not 3). These are gate, drain, source and bulk. I guess you didn’t connect the bulk in your schematic. Usually the bulk and source are shorted. Did you write the netlist yourself or did you first use gschem and then gnetlist? If you used gschem, I wonder why you got a netlist like that. If you could share that file (upload the .sch file and share the link), I can take a look. Sorry for the really late reply. I’ve been really busy (I still am). I am sorry for late reply, was a bit occupied. Can I send it to you by mail? You have made my day. Started experimenting spice and gEDA on my own. Thanks a lot. Sorry Arun. I’ve never used HSPICE. Never had the chance to really use Cadence or synopsis tools.